Presented by Chris Smith, Ginny Smith, Hannah Critchlow. 02:49 - What is sound? What is sound, and how is it produced and how can computer trickery change the voice? 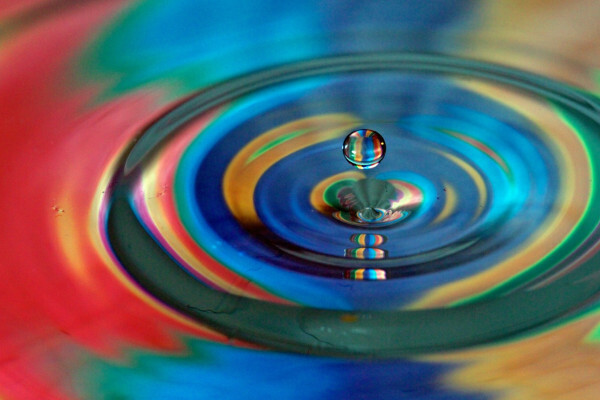 Sounds are all around us, all the time, but what exactly is sound? Rob Toulson from Anglia Ruskin University has a background in acoustics, electronics and music production, and brought along a variety of musical instruments to help explain the concept to us. Chris - Let's get started. Rob Toulson, you're in the hot seat first, so, you've got the hard job of actually telling us, what actually is sound? Rob - Everything can vibrate. If we hit something or something has got some kind of energy attached to it, it will vibrate. When it vibrates, it makes the air molecules around it vibrate as well. Those air molecules vibrate and they pass on, they knock on to each other, and pass on that vibration onto the next air molecule, onto the next air molecule until it reaches our ears and then our ears vibrate, and our brain turns those signals into things that we know about as sound. Rob - Essentially, yeah. I'm sure Richard will tell you more about that later. Chris - When we're actually listening to a sound, there are lots of different pitches of sound aren't there? So, what actually is the difference between a note which is really low like Dave's voice and a note that's really high, like Nicole's singing. Rob - How fast something vibrates determines the pitch. If something vibrates very slowly, we get a very low sound; but if something vibrates very fast, we get a very high sound. And so, when we start to manipulate those vibrations mathematically we can organise the sounds into things that sound nice, and that's generally referred to as "music". Chris - But not all music sounds nice. I mean, James Blunt for example. Something's up there, isn't it? Rob - He sells a lot of records you know. Chris - There's a lot of deaf people! No, I'm just kidding. So, you've brought up the subject of music. How does a musical instrument work then? Rob - Any musical instrument is generally designed to vibrate and produce some form of sound. There are a number of different ways we can cause the air around an instrument or any object to vibrate. I've got some examples. I don't know if you want me to show you those now. Chris - What have you got? Rob - Well, there's three very simple ways that we can make sound and one of them is literally by hitting something. So, if we actually pass some energy onto an object, it vibrates. What I've got here in front of me is a tuning fork. If I hit it, (sound), it vibrates. Rob - When it vibrates, essentially, this tuning fork is the right dimensions, the right material and it's got the right amount of material to vibrate in a very specific frequency. So, every time I hit it, it always sounds the same. Chris - That's because of the mass of the material. It's moving a certain amount of mass backwards and forwards. Rob - Exactly. And if it were heavier, it would move slower. If it was a different material, it might move faster, some instruments are made of metal, some instruments are made of wood, some instruments are made of plastics. They all gave slightly different sounds. Chris - If I stuck a bit of Blue Tack or something onto there to damp it or make it heavier. Rob - I've got that exactly. Chris - It's almost like a series of peaks and troughs. It's a bit louder and a bit quieter. Can we just hear that again one more time? Chris - It's almost like jarring, like when a car goes pass your house and your windows vibrate a bit. It's almost doing that. Chris - That's really spooky. It's going around in my head. Rob - So now, that's changed the difference in frequency. So, they're now going slowly in and out, it's called modulation. They're slowly going in and out of time. I work a lot in music studios and recording studios and this can make a real big difference to how well a band or a music ensemble sound because if they're slightly out of tune from each other, we get all these kind of interfering sounds. So, that's why some of the best orchestras in the world sounds so good, and that little bit better than all the others is because their instruments are tuned and their ears are better and they can perform purely in harmony. Chris - You've got some other instruments here. Have you got some other bits and pieces that you could do with it? Rob - The other things we've got is strings. So, this was hitting a piece of metal, an object, but strings vibrate as well. So, this is a small ukulele. When I pluck this string, it vibrates. There's different strings which vibrate. The reason they vibrate differently is because some are tighter than others and some have got different thicknesses than others. So, depending on the thickness of the string and also, by putting my finger on the instrument here, I can effectively make this string shorter. So, length, mass and tension all determine the sound. The other thing is, we can play lots of different sounds at the same time. If I play something where they're in harmony with each other, it sounds good and if I play something random, they don't sound so good. So there are all these musical rules which give us an idea of when we might make certain sounds and when we might make others. Chris - That's the string section if we think about orchestra. What about the wood wind or wind instruments? How do they make sound? Chris - That's the little slot. You've got about...I don't know, 20 centimetres along the tube. Rob - Yeah. Essentially, it causes what we call turbulence in the air which mixes all the air up really randomly. And then because this pipe is such a straight and round structure, the air all falls into some kind of organisation and gives us a pure tone. Chris - So, the air is blown in, that's the energy coming in, but it's the turbulence created by that little slot that then creates the vibrations that go up and down the pipe and they become maximum or minimum according to how long the tube is. Rob - They fall into the frequency they want to vibrate in. but there's another interesting thing with this, which if I blow it gently, (sound) it makes one noise. But if I excite that air lots and I blow it harder, (sound) it makes a completely different noise. And that's because there's more energy at higher frequencies and then it falls into a different order. Chris - Any questions for Rob? Ben - I'm Ben and I'm from Barrington. Is that why when you get like a whistle and you put your hand over the small tube, and you put the hand over all of the holes, it sounds really strange? Rob - Yeah, that's because when you put your fingers over everything, that makes it go to its highest possible frequency and that's really quite piercing. But yeah, that's exactly how recorders and woodwind instruments work. by putting our fingers on the holes, we're effectively are changing the mechanical, sort of, properties of that instrument. Ginny - So Rob, you also brought along another little demo for us. You said you were going to change our voices somehow. How are you going to do that? Rob - Okay, so what I'm going to do is show you some sound effects which basically are taking some sound, i.e. a voice and manipulating it, doing some clever mathematical processing. It's all built-in to the computer and that's some of the things I research these days are, how we can manipulate sound and change sound. So, let me just switch my speaker on. This is an example of just clear voice - no effect and this is the same thing with a load of reverb, which makes it sound like it's in a cave or in a really big church. Something else I can do is add delay. Hello, hello, hello. Is anyone there? Is anyone there? Or I can add the two together (echoing sound) and it sounds really spooky, ha ha ha ha! Ginny - Anyone else want to have a go at changing their voice? I thought that might be a yes. What's your name and where are you from? Rowan - I'm called Rowan and I'm from Cottenham. Rob - So, what are you going to say, Rowan? Rowan - I don't know really. Rob - Okay, here you go. Ginny - What's your name? Ginny - And what's your favourite lesson? Ginny - What have you done to Rowan's voice there? Rob - So, we've just added a process effect which takes his voice and it makes it much higher pitch and it adds extra harmonics and it modulates them so they come in and out, and a bit of distortion and it sounds like a robot alien-type sound. Ginny - Made you sound very silly, didn't it? Ben - Ben and I'm from Barrington. Ginny - What are we going to do to Ben's voice? Ben - (low pitched voice) Hello. Oh come on! Ginny - So, what have you been doing today, Ben? Ben - (low pitched voice) I've been at school. It's just unfair. Rob - Well, that's a very similar thing except instead of going up in pitch, it's going down and that's the kind of sound effect that's used if you want to disguise your voice. (low pitched voice) One, Two, this makes you sound very different. Computers are so fast now, it can do it in what's called real-time which is essentially, as you're talking. Our ears allow us to hear a huge range of sounds, but how do they turn sound waves into brain waves? Richard - Okay, so I'm going to tell you about the three stages that sounds passes through to go from soundwaves to brain waves. The first step happens here with the outer ear. This collects sounds and shapes them a little bit and passes it on to the second stage. Richard - Indeed. Yeah, these are your pinna, as the technical term is, on the outside of your head. And they collect sounds and pass them onto what's called the middle ear which contains 3 of the smallest bones in the human body. So, these bones are roughly about half a centimetre in size. They act to focus the sounds onto a very small area called the oval window. They make the vibrations of that window much greater than they would've been if the bones weren't there. 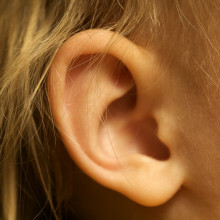 Chris - When people talk about the eardrum, where's that? What does that do? Richard - So, the eardrum is where these bones collect the sounds from and then they move it from the eardrum or the tympanic membrane to the oval window at the end. Chris - The pinna therefore collects the sound, funnels it into the bit you can stick your finger in and wiggle it. And at the end of that is the eardrum, that's going to vibrate and soundwaves, the vibrations hit it, then the bones pick it up. Richard - Then the bones pick it up, amplify it a little bit along the way and then wiggle around the oval window at the end of that process. Chris - If we look inside the oval window, it sounds like one of these old children's telly from my youth. If we go through the oval window, what's in there? Richard - This is where the third stage is, then the really interesting stuff happens. In there is a fluid-filled space and the oval window is wiggling backwards and forwards in time with the sound coming in and that moves the fluid around. Sitting in the fluid is a very clever membrane called the basilar membrane. The membrane at one end is very, very thick and stiff. At the other end is very thin and pliant. If high frequency sounds come in, if we take one of Rob's tuning forks with a high pitched tone, that will wiggle around the thick end of the basilar membrane that's very stiff. And it won't wiggle around the pliant end very much at all. But if we take a tuning fork with a low frequency, then that will excite the pliant wiggly end and won't move the stiff end at all. So, the basilar membrane breaks out the frequency content of sounds. Chris - When I'm listening to you speaking, there's a whole range of different notes and frequencies mixed in and I experience those as your voice. But you're saying that my inner ear, my cochlea, this basilar membrane, because it has different parts of it that vibrate more or less with different sound frequencies, different parts will therefore respond to different sounds. What happens when it responds and vibrates? What does it do next? Richard - So now, we've got mechanical motion. How do we turn that into brain waves now? Sitting next to the basilar membrane are a line of very special cells called hair cells. They're called hair cells because they have little protrusions coming out of them. Chris - Don't tell me, I bet they're called "hairs!" Richard - They are called hairs, indeed! As the basilar membrane moves, it displaces these hairs that come out of these cells. That's what transduces this mechanical vibration of the basilar membrane into electrical signals inside the brain. So, we get signals out in response to what the different frequency components are in a sound at any particular time. Chris - Effectively, we're going to see different parts of this basilar membrane shaking more or less in response to different sounds and the nerve cells, the hair cells are picking that up and turning it into electrical signals. Richard - Yup, that's right. You can think of it as a little bit like a piano in reverse. So, we play a piano and we move the strings and that produces soundwaves. In the brain, when a sound of a particular frequency comes in, it will excite the basilar membrane which is the string and cause a particular key to move. So, it's sort of like a piano in reverse, carrying out the analysis of the incoming sound. Chris - When someone goes deaf, what's gone wrong with system? Richard - There are a number of things that can go wrong and cause hearing loss. One common one which affects lots of people is that their hair cells get damaged. So for instance, if you go to lots of rock concerts and listen to very, very loud music, that can cause what's called noise induced hearing loss. You can have diseases which affect the hair cells and perhaps the most common form of hearing loss is, as you get older, these hair cells tend to perform less well. In particular, that happens at the high frequency end. So, as people tend to get older, they find it harder and harder to hear high frequency sounds. Chris - Do you quite literally get deafened by the sound of your own voice? Nicole - My partner says he's going deaf just by living with me in proximity. Chris - But sorry, Richard. You were going to say, why don't I deafen myself quite literally when I'm shouting at a rugby match or something? Richard - When you speak very loudly, you engage muscles which connect to the 3 bones in the middle ear which stops them moving around so much. So then the transduction from the eardrum to the oval window is less strong and the vibrations caused in the cochlea are less strong too. Chris - When someone does become hard of hearing and they need some help, what sorts of help can we give people? Richard - At the moment, current hearing aids work in the following way. If you lose your hair cells, they respond less vigorously to the incoming sound. And so, a sort of a simple way of compensating for that is to make the sounds much louder and you do that in a frequency specific way. So, if you can't hear high frequencies, we boost the high frequency volume of the incoming sounds and that's what a current hearing aid essentially does. Chris - When you see someone with that little thing behind their ear and a little pipe going into their ear, what's that actually doing then? Is that pipe carrying the amplified sound just into their ear canal? Richard - That's right and passing it onto the system which then processes the sound in the normal way. Chris - If someone finds that's not terribly useful, is there anything even better that you can offer or is there anything else we can do? Richard - Yeah. So, that's something that we're working on. So, one of the things which people with hearing loss find very difficult and challenging is noisy environments when there's lots of background, often environmental, noise going on. We've become sort of very interested in studying the properties of those environmental noises and developing methods to automatically remove them from speech and music sounds that you might be perhaps more interested in. Richard - Yeah, that's right. So, the amplification applies to everything. It's not just the signals that you're interested in like the speech or the music. It's also going to amplify all the background noise. The question is, can you build intelligent devices that only amplify the signals of interest and maybe supress the background noise a bit, so they're not so audible. Chris - Can you do that? Richard - No. So, this is technology definitely for the future. But we've got some interesting demonstrations of, sort of a proof of concept at what we can do in this area. So, we're going to listen to a short clip of some environmental sounds and these are the sorts of sounds which people with hearing impairment find very distracting if they're played in conjunction with speech sounds. They find it very difficult to hear. Okay, so in the clip, I start by a campfire and then you can hear my footsteps as I walk along and I walk past a little stream, you can hear in the background here. And then wind gets up, and then it starts to rain. So, I unzip my tent and here, you can hear the raindrops just coming in and I get into my tent just in time. Chris - I think I went on that holiday as well. Richard - What's perhaps surprising about the sounds that I just played to you is that each one is entirely synthetic. So, they were produced by taking a statistical model, training that on a short clip of sounds. And then the model, because it's learned the statistics of those noises, is able to produce synthetic versions of arbitrary length which look very different from the original but sound just the same. Chris - Those are not real sounds. 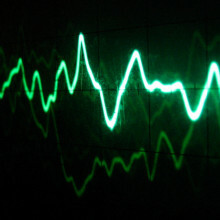 A computer has churned those out based on having learned what those should sound like. Richard - That's right. So, it's learned things like the statistics of falling raindrops in the raindrop example and what the raindrop sound like individually and how quickly they arrive. And then they're able to synthesise new rain sounds automatically which a listener cannot tell the difference of. Chris - Can I guess then that where you're going with this is, if you can pretend what a sound sounds like, you can therefore, digitally subtract- you can take that signal away from the sound coming in to say, a hearing aid, leaving behind what the sound would be like without that. Richard - Absolutely. so, that's what we're trying to do. So, the analogy here, I often use, is of a spam filter. An email spam filter can detect your emails and ones that should be arriving to you versus spam. The way it does it, is it calculates the statistics of spam and the statistics of your emails based on word frequencies. Based on those differing statistics, it can figure out what's spam and what's a real bonafide email. And so, we're trying to do the same thing with audio signals where the spam is environmental noise and the signal that you want is speech or music. Chris - If someone needs a more radical intervention, what's the difference between what you've been describing and say, a cochlear implant? What's one of those and how does that work? Richard - So, a cochlear implant is surgically implanted into patients who are almost completely deaf. So, they often have no functioning hair cells at all. And so, we need to cut the hair cells out of the loop. Amplifying the sound just isn't going to work because there's nothing there to pick up the sound anyway. And so, what you do is you implant an array of electrodes inside the cochlea that then interface directly with your auditory nerve fibres and bypass the hair cells completely. Chris - If I therefore send little electrical signals down those electrodes, they will directly activate the nervous system, fooling it into thinking it's heard a vibration, a soundwave at that frequency, and then those signals go into the brain, and the brain thinks there must be a sound there. But it's actually an electrical signal. Richard - Yeah, that's right. So, you have a microphone outside on the side of your head which then communicates by a radio sensor to the implant inside the patient's head. Chris - Who's got some questions for Richard? Ben - Ben and I'm from Barrington. How long are these hairs? Richard - That's a good question. I don't know precisely, but they're extremely small. We're talking about micrometres, perhaps even smaller than that. Chris - Micrometres, being a millionth of a metre. Ailish - Hi. My name is Ailish and I'm from Cambridge. I don't know if this is your area or not - if there was any stem cell research in growing those hair cells? Richard - Yeah, there is. Again, it's totally not my area at all, but I think there has been recent success in actually starting hair cell regrowth. So before, I think people really struggled and couldn't find a treatment that would cause hair cells to regrow, but I think there's been a recent breakthrough in that regard. Norman - I'm Norman from Barrington as well. Thinking about bats, how does a bat's ear differ from a human ear because they can hear very different sorts of frequencies, can't they? Richard - They can. So, I know almost nothing about bats. One thing I do know is that, a bat would deafen itself if it didn't protect itself against its echo locating sound because it's going to try and output an extremely high amplitude sound which if it had its ears turned on at that point would deafen it. Chris - Bats are officially louder than The Who. The Who are the loudest rock band in history. Bats squeak at more than 120 to 130 db. The Who, I think, got 110 at one of their concerts. Richard - So, the bat has a mechanism, very much like the mechanism I talked about for the middle ear, where it turns down the gain on its auditory system to protect itself against deafening itself with its echo location. Ginny - We've got a question that's come in on Twitter. In response to your thing about the bones tightening so that you don't deafen yourself, Charlotte Hill says, "Does this explain why sometimes when people talk loudly, they don't realise how loud they are?" Richard - It could well do, yeah. So, there's a number of things that are going on there because you also hear yourself through bone conduction as well, which is what makes it hard for singers sometimes to figure out what pitch they're singing at and exactly how loud they're trying to sing as well. Ginny - That's why the first few times you hear yourself back on the radio, you think, "Oh my goodness! Do I really sound like that?" Richard - Indeed. You sound very, very different to how you expect to sound. And that's because you're listening via your sound conducted by the bones in your head rather than through the pathway I've been talking about. Anthony - I'm Anthony from Cambridge. Why are some people tone deaf? Richard - I don't think that's anything to do with the early auditory processing pathway I've talked about. There is a lot we don't know about how perception of sounds and the neurobiology underlying that perception works. I think tone deafness is something which happens much further up the pathway. And so, the answer is, I'm afraid, that we just don't know. Nicole - It's true, what Richard is saying about the neurobiology and we don't in fact know. There are some theories that it's possibly genetic and that it develops as you say, further down the line. There's a slight difference between tone deafness though and someone who just sings off pitch. It could also possibly be a technique in that you don't actually know how to sing. So, even though you can hear the pitch in your mind and you think you're getting it correctly, you might not be supporting the voice, you might not be opening the back of the throat and often, you might not be dropping the tongue. There's a whole load of technique around the embouchure and the support that you need to make a sound. So, if someone who has a nice voice and they can hear the pitches, but they're slightly under the pitch, we would call flat. So, your tone is flat. That could possibly be, your ear is right, but your technique is off. So, that can be fixed. Tone deafness can't. I have had a tone deaf student and it broke my brain a little bit. Chris - As well as your hearing. Thank you. Dave, you've got an oven shelf in your hand. What are you pair planning now? Ginny - So, this actually links in really nicely from what we've just been talking about - bone conductance. What are we going to do, Dave? Dave - So first of all, we need a volunteer from the audience. Ginny - What's your name. Boris - I'm Boris and I'm from Hungary. Ginny - So, what are we going to ask Boris to do? Dave - I've basically got an oven shelf here hanging by a piece of string. Ginny - It's a bit of a weird thing to be carrying around with you. Dave - These things happen, you know. Ginny - And it's one of the kind of oven shelves that's like an open grill type thing, that you then put your tray of potatoes on top of in the oven. Dave - That's right. So, it's just a metal grill and I can hit that with a piece of metal. Ginny - Makes vaguely pleasant noise. What do you think? Ginny - It's not particularly exciting though. Dave - It's pretty dull. It's quite tinny, quite high-pitched. Now, what I want you to do Boris is wrap the piece of string it's hanging on around a finger and then stick that finger onto the kind of fleshy flap of skin which goes over your ear. Ginny - Okay, so you're going to have an oven shelf on a piece of string dangling from your ear. We promise you, this is for science. It's not just to make you look silly. Dave - So, if you lean forwards so the oven shelf isn't touching anything and now, I'm going to hit the oven shelf. Ginny - Did it sound the same or did it sound different? Boris - No. It sounds a lot lower. Ginny - A lot lower pitched. Ginny - Anything else that was different? Boris - It was a little louder. Ginny - It's got louder and lower pitch. Now, it sounded exactly the same to me, but Boris has got his finger in his ear with a piece of string and it sounds different to him. Dave - It's a bit rubbish that only Boris can hear this. So, we're going to try and get it so everyone can hear this now. Ginny - Okay, so now, we're going to replace Boris's ear with a microphone and that hopefully means that everyone here and everyone at home will be able to get the same effect that Boris was getting. Dave is now constructing another piece of string to tie the oven shelf onto the microphone. He's holding the microphone from a piece of string. So, the microphone is dangling and then below that, the oven shelf is dangling. Shall we hear it one more time, what it sounds like normally? Ginny - Everyone hear that? Ginny - What's going on there, Dave? Why does it sound so different when the string is attached to the microphone or your ear? Dave - First of all, if I just hit this normally, and if you feel it now. Ginny - It's vibrating. It kind of tickles my fingers. Dave - So, it's always vibrating at both the high pitches which you can hear normally and also, those low pitches. But the thing is with low pitches, they can't efficiently get into the air. It's a bit like, if you try and make waves with a finger in water, if you move your finger very, very fast, the water hasn't got time to get out of the way and you make waves. If you move your finger really slowly, the water's got plenty of time to get around it and so, you don't make very big waves. Ginny - You just end up sort of moving your finger through the water, like the water doesn't come with you. Ginny - And those fast ones are the high pitches, the kind of tinny sound. Dave - That's right. But the low pitches can't get into the air, so they can't get into your ears. But if you've got a stiff piece of string, if one end of the piece of string moves, then the other end of this piece of string is going to move. And that sound goes straight up the string, in through the bones and goes straight to your ear. And so, you can hear the low pitches as well as the high pitches. Ginny - And that's why it sounds really different when it's connected either to your ear or I guess, the same happens with the microphone. The vibrations travel up the string to the microphone and you can pick those up directly. 32:37 - How do owls fly silently? 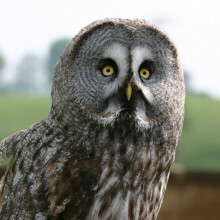 Owls fly nearly noiselessly, but how? And can we adapt their approach to make quieter aircraft? Owls fly nearly noiselessly to avoid alerting prey to their approach. How they do this is the subject of a research project by applied mathematician Nigel Peake, from the Department of Applied Maths and Theoretical Physics at Cambridge University. Nigel - I'm a mathematician and I'm interested in trying to predict how much noise is produced by things like aircraft and wind turbines because if you can predict that then maybe you can design them to make them quieter. But what I want to talk about tonight is something a little bit different and that's about owls. It's been known probably for centuries that there are some owls that can fly amazingly quietly. So, these are big owls like barn owls or great grey owls. The question is, how do they manage to do that because if you can understand that, then maybe we can do something about aircraft and wind turbines. Chris - We heard from Rob at the beginning what sound actually is - its vibrations in the air, but how does the sound vibrations that come from something we do like the sound of or something that's not really very disturbing differ from something which is very distracting or disturbing like an airplane? What's going on that's different? Nigel - Okay, well one of the things is that aircraft noise, annoying noise, has got a very, very broad range of frequencies. And so, if things aren't in tune, it's producing sound at a whole range of frequencies. And that's often because the flow is very turbulent, the flow is very complicated and that means that it produces frequencies all over the place. Chris - Can you show us through that? Nigel - I certainly can. So, what I have here - a very simple thing - is a canister of compressed air that you have to clean your computer keyboard and it's got a very thin sort of long pipe on the end. And if I squeeze this, and you can hear there's a hissing noise. Most of that noise is quite complicated, most of that noise is coming from the turbulent flow that's coming out of the pipe. This jet is quite low speed so, it's not particularly noisy. But you can imagine if you've got your aircraft taking off from Heathrow, the jet is far, far faster maybe it's going, close to the speed of sound, 330 meters a second, something like that, and that is really, really noisy. Now, if I do something else, if I have a - I've got here a ruler which has got a sharp edge and I've got this quiet jet and now, I move the sharp edge into the jet, then what you'll hear is, I get a louder noise. What's going on there is that although the turbulence by itself isn't very good at producing noise, as soon as you put a sharp edge into it, the sharp edge is very good at then converting the turbulence into the very fast soundwaves. Chris - We heard the noise get to a maximum when that ruler edge that you're using was directly in line with the air coming out of the pipe. Nigel - That's right, and this is important. Now, when your aircraft is coming in to land, the engines aren't very noisy. But what is very noisy are the - what are called the air breaks which are deployed to try and slow the aircraft down, the trailing edge of the wing. And it's exactly this effect with the ruler. There's turbulence flowing over the trailing edge and that's amplifying the turbulence, producing a lot of noise. Chris - That is at the end of the day, why the airplane is slowing down though because it's shedding energy, it's disturbing lots of air, which is helping it to slow down. But the downside is that it's making lots of noise. Nigel - It's making lots of noise which of course is very bad for the people who live near the airport. Another thing is that if you have a wind turbine, that's rotating then there's a noise source there which is again, to do with the air flowing over the sharp trailing edge of the turbine blade. Chris - But if you stop the wings making that turbulence on an airplane for example, won't it have a problem slowing down? Nigel - It can't help the turbulence. In many ways, that's important because that actually helps the pilots to manoeuvre the aircraft safely. But what you need to do is to find a way of stopping the turbulence interacting with the sharp edge in such a noisy way. We believe that's what the owl has done. Chris - So, what do owls do then? Nigel - Okay, well owls have got two very unusual features about their wings. So, the first is if you look at the trailing edge then it's got a very flexible brush of small comb. And then the second thing is, then the feathers of these owls are much, much more complicated than the feathers of any other bird. In fact, they're much more complicated than the feathers of other owls that don't need to fly silently. Chris - And it's because owls need to fly silently to give them the best chance of catching something that they've evolved to have this particular adaptation. Nigel - Exactly. There's two reasons. One is, if you're hunting a mouse then the mice have rather good hearing. So, you don't want them to hear you coming. The other thing is, that if you're trying to hear the mouse, you don't want to be making so much noise yourself. Chris - The cost must be to the owl that it's harder to fly though because it's not got the same aerodynamics as an animal that doesn't damp its sound down like this. Nigel - Actually, sound is very low energy. Even very loud sounds are quite low in energy cost. So for instance, you have the whole of Wembley Stadium shouting throughout a match. Then the total acoustic energy they would be produced is only about enough to fry one egg. And that's because the soundwaves have actually very small amplitude. This proves how remarkable the ear is, detecting these very small amplitudes. Chris - And you're trying to copy what the owls do. Because you worked out what the owls do and now, you're saying, "Can we copy that onto an airplane's wing to make it quieter?" Nigel - Yes, and we've managed to do this. So, we did some mathematics, we did some computing and we design something which we thought would mimic what the owl does. Now, it doesn't involve sticking a feather on a wing. Chris - Because it's a very fluffy airplane. Nigel - It would just look silly, wouldn't it? But we've got this device which we've designed. We've put it in a wind tunnel and we've tried it and it works. So, we're really excited about that. And the next thing is, that we're actually going to put it on a proper wind turbine in a field somewhere and see what happens. So, that's the next stage. Chris - Because wind turbines make sounds for exactly the same reasons, that airplanes do. So, what works for one will work for another? Nigel - Yes, and if it works on the wind turbine and maybe, just maybe, it'll work on an aircraft as well. Chris - How much disturbance or sound do you think you can save? How much of a knockdown effect will this achieve? Nigel - Well, in the wind tunnel, they went from being quite loud to being almost inaudible. So, sound is measured in decibels and this was 10 decibels which is an absolutely massive change. Ben - My name is Ben and I'm from Barrington. What happens if you put the blunt end to the air cannon instead of the sharp end? Nigel - Remember what I said about the aircraft coming in to land? That's actually another source of noise which is when you put the landing gear sown and that's like a blunt edge. And you let anybody who's been on an aircraft coming in to land, when the gear goes down, that's very noisy as well. So, as well as doing something about the sharp end of the ruler, doing something with the bluff end is very important as well because that would solve this problem about the landing gear. Ginny - There is a question that could really be put to any of you or all of you. Chris - Is it on Twitter, given that we're talking about birds? Ginny - It is on Twitter. Garage Idol asks, "Is there a minimum or maximum limit to frequency or amplitude of sound?" Who wants to come in on that? Nigel - Well, I'll have a go. So, it's to do with hearing of course. So, young people's ears are much better than old people's as we heard. But a young person can hear a sound of zero decibels. That's the sort of threshold of hearing and then there's a sort of maximum threshold where it starts to cause damage to the ear because the sound is so loud which is about 140 decibels, I think like that. And then you can get much bigger pressures. So, there are some very loud sounds like volcanoes erupting which can get up towards maybe 190 decibels and 190 decibels is actually 1 atmosphere of pressure which is how much pressure is pressing down on us because of all the air going up into space. Chris - Ladies and gentlemen, from the Department of Applied Maths and Theoretical Physics at Cambridge University, Nigel Peake. Now, this does look very exciting. Dave and Ginny, two large funnels instead of headphones by the look of it. What are you up to now? Ginny - We've been talking about owls and how good some of them are at flying quietly, but there's another thing that owls are really, really good at that helps them with hunting. And that's pinpointing where a sound is coming from. Humans are okay at it, but owls are brilliant. So, when they're flying, they can work out if that little mouse they can hear is over to the left or over the right that they can swoop down and get it. We don't have any owls here unfortunately. We're stuck with humans, so we're going to have a bit of a play with how you work out where a sound is coming from. Dave - So, what I've got here is a set of ear defenders and attached to it, I've two tubes. One from the right hand ear which goes to a funnel on the left hand side and one from the left hand ear which goes to a funnel on the right hand side. Now, what we need is a volunteer. Ginny - Where are you from Stanley? Ginny - Brilliant! Okay, now Stanley, we are going to put this fantastic thing on your head. So, Stanley has a pair of big yellow ear defenders on now and from his left ear, there is a tube going up and over his head and a big funnel pointing out to his right. From his right ear, there's another tube going up over his head and with a big funnel pointing to his left. Dave - So now Stanley, I want you to shut your eyes. What I want you to do is point to the direction which it sounds like I'm coming from. Ginny - Stanley has pointed to me and I'm standing on his left. Dave meanwhile is standing on his right. Where does it sound like I'm coming from? So, it sounds like I'm coming from where Dave is. Dave - And I'm coming from where Ginny is. Stanley - It is like opposite. I think it sounds like he's on that side. Ginny - Is that very confusing? Ginny - So, why have we done this to Stanley? Dave - So, what we've done is effectively swap the position of his two ears. Actually, where the sound is coming in to his left is actually on his right hand side now because the tube where the sound is coming into his right ear is actually on the left hand side. Ginny - So, when I talk and I'm on his left, the sound goes into the funnel, around the tube and into his right ear. So, it sounds like I'm over there on your right, yeah? Dave - You've got a couple of ways of working out what direction things are coming from. One of them is, which ear it sounds the loudest in and the other more subtle one is, which ear the sound gets to first. And that's the reason why sometimes it's very, very hard to tell whether something is in front of you or behind you. Because if something is dead behind you or dead behind you, it gets to both ears at the same time. Ginny - So, I'm standing here with nothing on my head and I can tell that you're on my right because your voice gets to my right ear first and you sound louder in my right ear. We've changed that for Stanley here and that's why he's very confused. 44:11 - Can opera singers shatter windows? How does an opera singer reach and hold the high notes? Can opera singers shatter windows? Nicole - I'm a professional opera singer, but I would actually say that I'm doing as much or if not, more science now that I'm singing even though I'm not in the lab. it's interesting listening to my colleagues on the panel because almost everything they've talked about can be applied to the human voice. I'm going to go on the record saying, I think that singing is the coolest science ever because you've got physics, physiology, neurology, neurobiology, biochemistry. It's pretty exciting, so it's kind of all encompassing. I think having become a scientist has made me more well-rounded singer. Now, that's not a qualitative thing because we have a subjective ear in terms of listening. Chris - It's not quantitative either, because you're a normal shape. Nicole - That's a really interesting question. Nicole - That's right and there's the very famous saying, "It ain't over 'til the fat lady sings." That of course means, something is not over until it's over. But it was referencing one of Wagner's operas where Brunhilde sings at the very end of the ring cycle. But fat actually is not an important aspect of a good voice or a functional voice. In fact, it doesn't matter what size you are. You can be fat and sing well. You can be thin and sing well. The technique and how you use the muscles involved is much more important and also, the bone structure that you were bone with. Your natural acoustics is going to apply much more than how much adipose tissue you have on you. Chris - Breaking it down then, there are lots of different aspects to it. there's actually how you physically control the breath coming out. There's how you actually amplify the sounds in your mouth and then control the shape of that sound, and so on. do you want to just talk us through? When you're singing, what's actually going through your mind? What are you concentrating on doing apart from getting the notes right? Nicole - At the end of the day when we're performing, nothing should be going through your mind. That's why opera is extremely tricky. It's a kind of vocal version of patting your head and rubbing your stomach because you are doing so many different coordinated things that actually oppose each other because you're going against your natural physiology. One of the sort of ahah moments I had was - because I went back to opera after a long break, I decided to retrain and my teacher was going over breath control with me. When we talk about breath control as singers, what we're really talking about is, the controlling of the exhalation and the speed at which we let the air leave the body. And so, she was explaining this and of course, we want the most amount of space in the thoracic cavity, so in the torso, and we want to have the muscles very flexible. All of a sudden, I shouted, "Oh my God! Boyle's Law." And that's exactly what singers are doing. You're an applied physicist and so, when you have an extreme amount of volume in terms of being filled with air, you are resisting the external pressure of collapsing. And so, the first thing you think about is, "Am I resisting that exhalation?" Because what you don't want is air in the sound. What you have with the vocal chords is, you have very much like Rob showed his ukulele. We have the vocal chords that are a bit like strings and so, shape of the vocal cord will affect what kind of voice you have, the temper of the voice, etc. And so, you want to think about letting the air through, but not letting the air upset the vibration of the vocal cord. So, it's a very fine balance of how much air pressure you let out as you sing. Chris - Are you aiming for a sort of constant supply of air and is that that you're superimposing the opening and closing of the vocal chords? It gives the vibrations that are the sound. Nicole - Absolutely and you can change the vibrato by how fast you push the air through. So, one of the things you want to do as an opera singer is actually, make sure that it's very slow and very even, so you don't have big peaks and valleys in the voice that you have a nice even tone throughout. And so, you're not making a breathy sound whereas if you were doing something maybe sort of jazz or torte song, you'd want to be breathier. Chris - How do you learn that? is that someone sort of listening to you and going, "Nicole, you need to just do this a bit more"? Nicole - Yes, you do need external ears for sure. One of the things you're trained as an opera singer to do is rely more on sensation in the body than listening to yourself because you can actually mislead yourself terribly. And let's say, you were singing at a house like Houston Grand Opera which I believe is 5,000 seats - so, quite huge. And let's say, you're singing Wagner over maybe 87 to 100 instruments. You've got to have a lot of power. What will happen in that situation is, because of that room and because of the instruments, there is a possible delay for the singer. One of the reasons we actually need conductors and everyone of my colleagues is going to shoot me for this saying, "Yes, we do need conductors" I'm sorry, is, so they keep the tempo for you because if you rely on what you hear, you may actually be behind the music because of the echo that's coming back at you. So, when you first learn, you need a trusted ear and you need someone that knows the physiology and knows what they're listening for to help you recreate that sound and to get you to rely on what you feel rather than what you hear. Chris - Following the sound on its journey to the outside world, so we've come airflow, we've got vocal chords which are opening and closing at a certain rate, that creates the vibrations or puffs of air that are the sound. Those vibrations come into your throat, pharynx, mouth and the shape of that is acting as a sort of resonant cavity. It amplifies certain sounds. Tell us about how that works a bit. Nicole - One of the things you do when you sing in terms of operatic technique is you try to make sure that the head is as hollow as possible. Chris - That's easy in some people's cases. Nicole - Yeah, exactly. The terrible joke is that tenors are so resonant because there's not much up here, but you know, that's not entirely true - I have to say as someone who's done neurobiology, that's not correct. But what you do want to do is make sure that there's nothing in the way of the resonance so that you can use the entire head cavity in order to make sound. You'll notice that singers that have quite large voices have quite large heads and very often, they have a large area, a very large jaw. 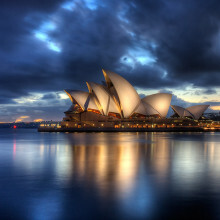 Joanne Sutherland is a fantastic example - Australian soprano who's no longer with us. But she had a phenomenal jaw that just look like it detached itself. And so, the more space you're able to make in your head, the more resonance you will get. Chris - So, when people say Mick Jagger, you know, stereotypical big mouthed Mick Jagger, that's really true. Chris - What distinguishes or what's the difference between when you make a quiet sound and when you want to sing really loud? What are you doing to make more volume? Nicole - Well, what's interesting is, we talk about it in terms of energy and it's a combination of breath pressure and sort of muscular - it's a tension but a relaxation. It's a very strange sensation and again, you're playing very finely with the breath pressure you're putting through the apparatus. Chris - Now, someone said to me that the best you'll ever hope for when you present radio programmes is to learn to tolerate the sound of your own voice. Do you like the sound of your voice? Nicole - I do, yes. I feel really narcissistic saying that. I've had to listen to myself a lot because of retraining and my voice has actually changed tremendously because I discovered I could do different things with it. and so, it's been quite exciting. So yeah, it's not shabby. Chris - We'll find out, shall we? Chris - Shall we make her do a bit? Shall we make her sing a bit? Nicole - Excellent! I'm actually going to - can I borrow Ginny for this as well? Chris - You're going to make Ginny sing? Ginny - No one wants to hear that. Nicole - I also need another volunteer. Igor - My name is Igor and I'm from Hungary. Nicole - When I sing, I'm going to show you where to put your hand so you can feel how I breath and I'm going to ask you after I sing if you can tell what's happening as I go up higher in pitch. Is that okay? Ginny - A round of applause. So, what did it feel like when she was singing those high notes? Igor - Well, her stomach was out when she was breathing and when the higher notes got longer and longer, her stomach went in. Ginny - Is that what you'd expect him to feel? Nicole - Yeah. Go out first and then it'll start to come in. so actually, with high notes, we need less air pressure. So, we actually want less air to escape. And so, when I go for a high note, I actually - it's a misnomer to say, I'm pressing out on the transverse abdominis, but I'm letting it relax out so that I can maintain a maximum amount of space. And then as I start to go down, he's exactly right. you can feel the stomach going in because I need more air for the lower notes and I'm also going to need to take a breath in for the next phrase. We need to get rid of all that air before I inhale again. Chris - Does anyone have any questions about what it takes to be an opera singer? One down here from Georgia. Georgia - Is it true that you sound better in the shower? Nicole - I sound fabulous in the shower. Well, the thing is, most showers are usually in a tile room. And it's the voice hitting against the tile sound that's coming back at you, so it makes it more vibrant. Room acoustic makes a big difference. Because of the way I sing and the style I sing, listening to me in a small room can actually be quite awkward and painful. But if I'm in a large room, my voice carries because I'm trained to use as much acoustic resonance of my body as I can. So, the shower will be a nice, ringy resonant space. So, that's why you'll think you'll sound better because it'll be quite bright and brassy. Chris - Nicole, do you sing in the shower? Nicole - I do warm up in the shower because the humidity is actually fantastic for a vocal cords, so sing in the shower - very healthy, very good for you. Ginny - Steve on Twitter wants to know whether it's really true that opera singers can break wine glasses with their voice. Chris - Ever cracked a tile or broken a window? Nicole - No, but I once in a talk tried to break a wine glass for an audience. So, if you hit a glass with a tuning fork or even with anything to get a sound off of it, you can get the pitch and the resonant frequency of that glass. So, whether it's a wine glass or it's a window, once you know the resonant frequency and you know the pitch or the note, if you will, in music terminology, that that object is ringing at, you as the singer have to match that pitch exactly and also match the resonant frequency. That's the oscillation and the speed at which the sound travels. So, your voice has to meet the object and it has to be exactly the same resonant frequency as the object. But then you've got to hold it at a particular decibel for a really long time. So, the thinner the glass, the smaller the object, the easier it is to break. The larger the glass or the thicker, the more difficult or next to impossible and that's when you just step on it. Boy - What's the largest glass structure you can break with your voice? Nicole - Well, it depends on the voice and it depends on the glass structure. Boy - So, a greenhouse would be really hard to break. Nicole - A greenhouse would be - I mean, maybe if you got an entire company of opera singers together, all going at the same note at the same time at a particular window, you might be able to do it, but that's a tough task. Dave - I have spent quite a lot of my life attempting to smash wine glasses using sound, but with a signal generator. But there's a slightly expensive thing about this is that the really, really good quality wine glasses work a lot better. Nicole - Yes, the cheap Ikea ones don't. It also helps if the glass has a flaw in it. Dave - The real trick is you want a glass which will ring for a really long time when you ping it and those are expensive which is unfortunate because you want to smash it. Ailish - Hi. I'm Ailish from Cambridge. I was just wondering, when you're practicing opera singing, do you use software or IT technology to help improve your voice? Nicole - The only thing I use is recording. So, I do record myself when I have lessons. But I don't necessarily use it to listen back. I'll quite often have my teacher reiterate what I was doing physically when I made that sound that they went, "Yes, that's the right sound. What were you doing during that?" So, because we're trained to not listen in a way, in a strange way, no, I haven't experienced any technology for any practice, no. Ginny - Stephen on Facebook says, "Is it possible for a human to make a sound that other humans or themselves couldn't hear because it's out of their frequency range?" So, could you sing so high that we couldn't hear it, Nicole? Nicole - I personally can't, although I have sent the neighbourhood dogs barking a couple of times. There is something that females can do and quite possibly some men that's called accessing a flute register. But what you're doing with that is you're not actually on the vocal chords. You're not actually using a vibration of vocal cord. So, it's a little bit of fake singing as it were. And that can go much, much higher than a human voice can. But you'd have to have extremely long and extremely thin vocal chords to make sounds that people couldn't hear. Dave - I guess, down at the low end, you can make sounds which are lower than you can hear. I mean, if you wave your hand backwards and forwards, you make a vibration through the air which is far too low for you to hear and so, yes.